This butternut squash soup makes a big batch that should last you through the working week. Pack it up in a thermos to take to work or stock in the fridge. It’s low fat and low in calories and full of fiber and vitamin A. 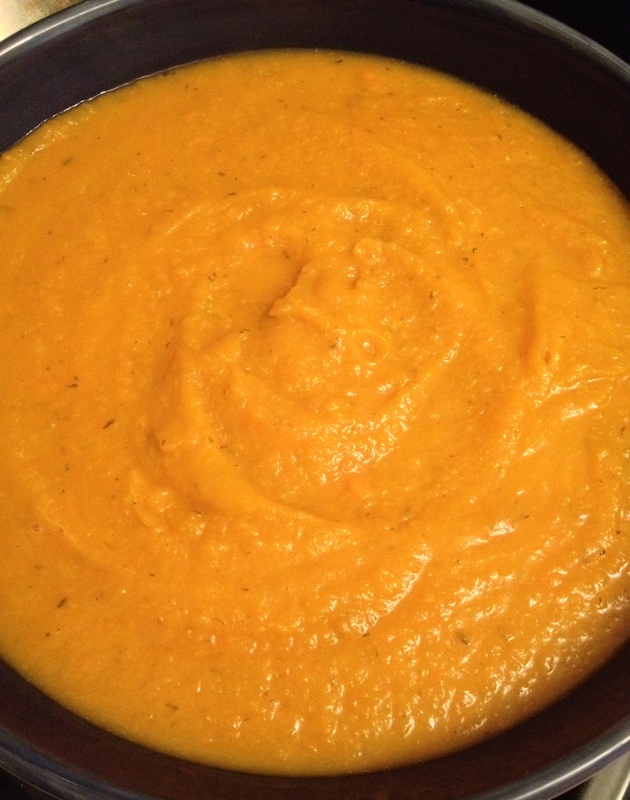 There are lots of variations to this soup and I’ve listed three different ones below. Since the squash itself is sweet, dense and has a rich flavor you really don’t need to add in a huge amount of extra spices. Play around with different ingredients though until you find the soup that you love. This is a simple recipe and should just take you an hour. So put on the radio or your favorite music and cook away! The squash itself is quite easy to prepare: with a vegetable peeler, peel away the thick skin and cut in half with a large sharp kitchen knife. Scoop out the seeds with a spoon and chop up into small cubes. That’s really the hardest part of making this soup. You just need to plan for it and be patient. Since the recipe makes a big batch, all your hard chopping work will be worth it in the end – I promise! 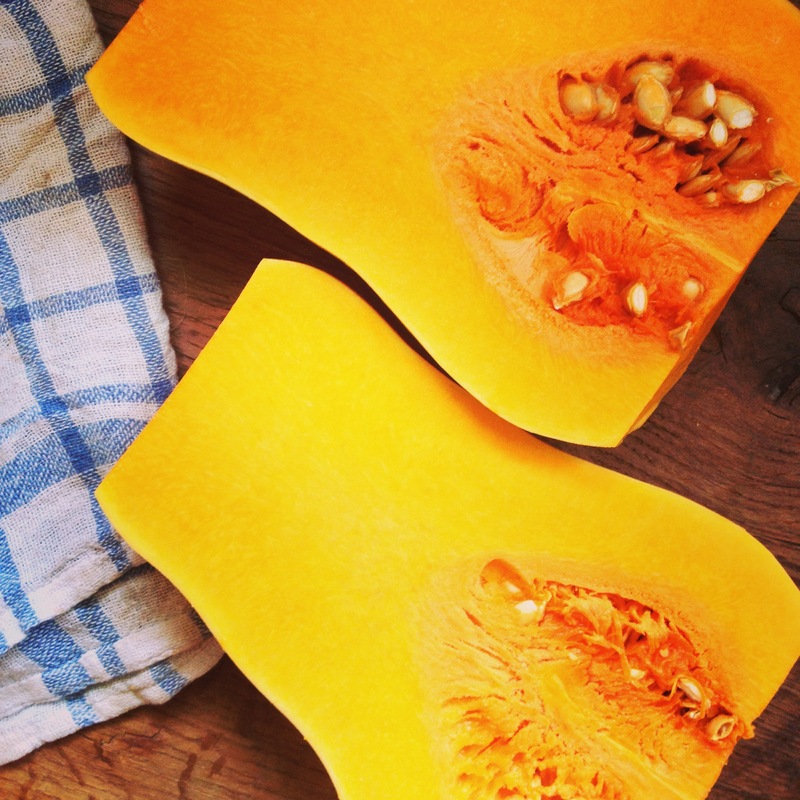 1 large butternut squash – peeled, and cut into small 2 inch cubes. Scoop out the seeds too! Add all the vegetables, salt and pepper to the saucepan and sauté on a low heat until soft (you can cover the pan right now. Takes about 15 minutes, stirring occasionally). Cover the vegetables with the chicken stock and add filtered water if needed. Simmer until the vegetables are all soft – about 30 minutes. Blend in small batches with a blender or food processor until smooth. If you don’t want baby food like mush, then blend the first batch smooth and the second or third batch until the soup is still a bit chunky. Season to taste and serve with toasted pumpkin seeds for extra crunch. Make it sweeter: add a chopped apple (with the peel, no seeds) for an extra sweet taste. My 3 year old loves it! Make it smoky: add smoky bacon to the vegetables and a teaspoon or two or sage instead of the thyme.